By the time I arrive at the Adventure hotel reception around noon, the rental motorbikes are long gone. Damn! The very friendly woman recommends that I go to the rental places at Thae Phae gate or even on Lamphun road, just north of the military base. Well, I have no choice, so I should quickly head in that direction on the next blue songthaew. I descend just before the New Bridge, where I immediately fall into the hands of a somewhat lost older long-haired Austrian, who wants advice on how to get to some temples further south along the river. I give him whatever advice I can, given my now tremendous knowledge of the locale, the walk back in the direction I came from, assuming the storefront with the mopeds parked in front is the place the woman at the hotel was talking about. On the west side of the road, I pass the broad untended parking area leading to an inviting-looking cafe, which turns out to offer the most phenomenal setting for coffees and food, the rambling wooden interior opening up at the back to a terrace with picnic tables and ample foliage looking out over the river. 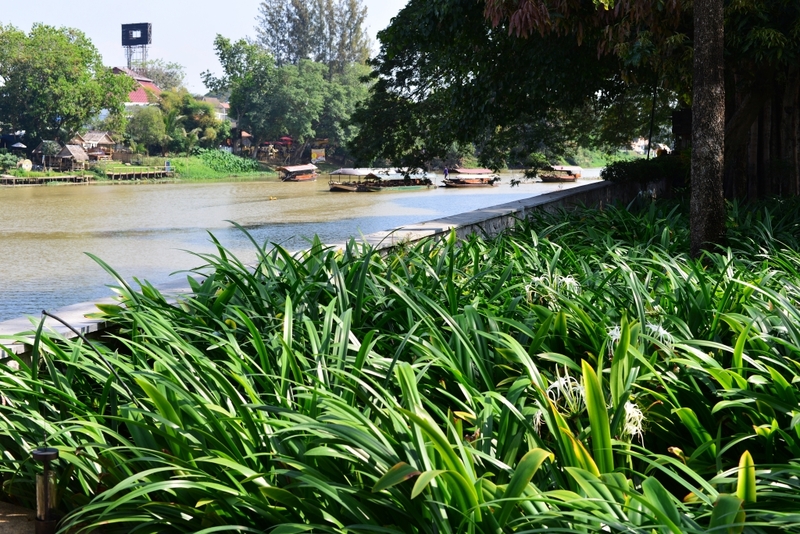 The Anantara hotel lies almost immediately across the water, long boats carrying tourists slowly chugging by on the green water. Yes, the shop in question rents motorcycles – but not to foreigners, the man seated at the back tells me with a broad smile. Oh really? 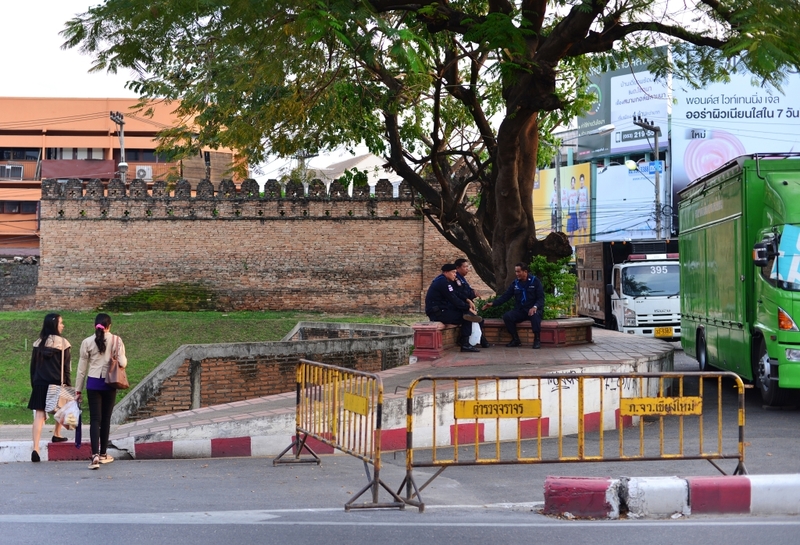 A number of possibilities race through my mind, but arguing is irrelevant – just get to the bike rental shops at Thae Phae gate and continue trying. Coincidentally, the patient small Thai woman who seems to oversee the cleaning at the Adventure hotel pulls up, and with her basic English and my even more basic Thai conclude that she is heading somewhere to the other side of the town centre, and yes, could take me as far as the Thae Phae gate. She impassively watches me disembark as I wade into the melee of traffic, tourists pointing cameras at the now much more elaborate presentation of floral sculptures by the gate, giant wreaths and other concoctions arrayed with all manner of garishly coloured flowers which I take to be fake. 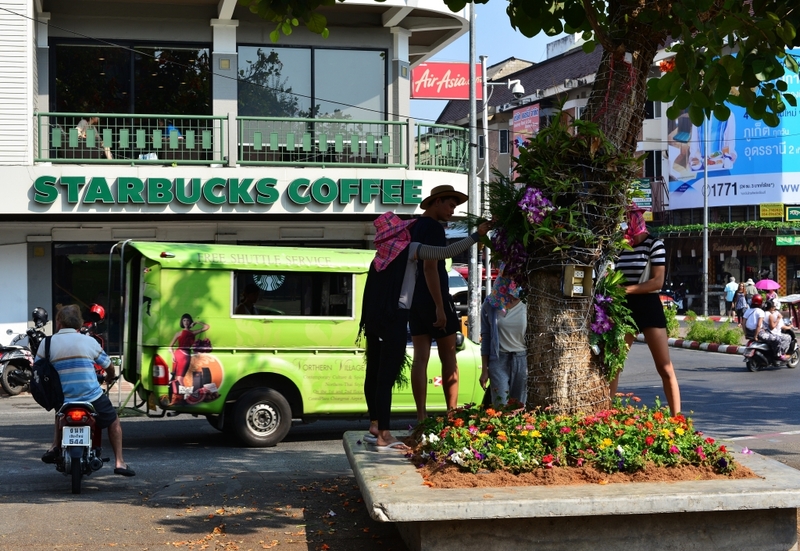 Despite the numbers of people taking photos of the outlandish display I don’t feel the slightest motivation to look at any of it – it just seems to underline the element of ridiculous kitsch that defines Chiang Mai. Thinking of tomorrow’s parade, I want to make absolutely sure I am nowhere nearby, given the insane numbers of people I saw last Sunday at the market. Even worse, the most hideous schmaltzy pop music is playing far too loudly to enjoy the company of the beautiful young European backpackers, middle-aged package tourists and leering eccentrics usually found on the plaza. What was to have been a quick coffee at the small cafe in the newish plaza on the north side of the street turns into another epic chat session. I innocently intend on visiting the men’s room, whereupon I blithely ask one of the men sitting in front of the building whether he is from the American south, which probably is one of the more ridiculous things you could ask somebody. And yet it is the launching point for a lengthy, interesting and entertaining conversation, effectively also ruining any possibility I have of getting anywhere today. No Richard tells me, he is not from the American south, but he is at least American, from California, but he has basically renounced his U.S. identity and has for four years lived in Thailand, and considers himself Thai. 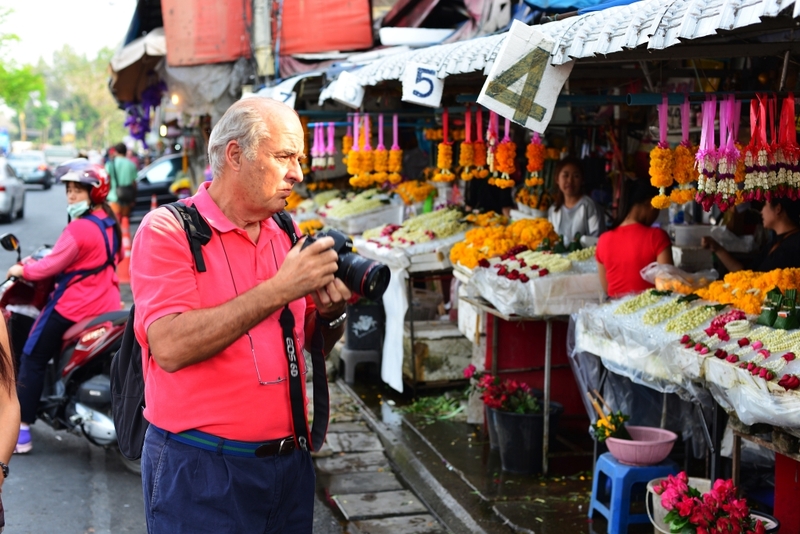 He loves Thailand, but also cautions care about one’s position as foreigner here – any potential accident or incident with a local that causes injury to the Thai will automatically be the charge of the foreigner, irrespective of who actually was responsible. Hence the number of foreigners buying into the concept of living here surprises me, given that they are essentially only tolerated. And yet Richard doesn’t mind me indulging in a lot of lore surrounding the American identity, trying nominally to skirt any subject that may be political in nature while he and his friend look at me impassively. It turns out that the two are no Tea Party acolytes by the remotest stretch of the imagination, Richard in fact very critical of Republicans, even though he is a highly decorated Vietnam vet and former marine. ‘We were treated with utter contempt when we returned to the U.S.’ he states matter-of-factly – ‘I have no illusions as to the United States’ real value of war vets beyond the usual empty rhetoric you hear’. Speaking of various regions of the U.S., he responds with his experiences of California, his home state, except that California is not just far more diverse than other states, but towers over the rest of the country in terms of economic importance. In California, the rest of the U.S. seems like a pale shadow. But the costs of living are far too high, especially taking in to account debilitating medical conditions with the onset of age, and the perennial disregard for veterans’ needs. 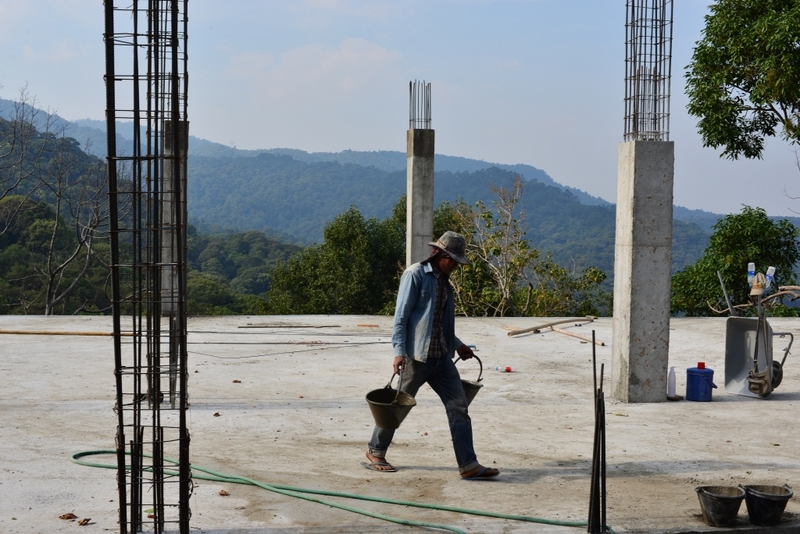 His money goes far further in Thailand than it ever would back home, be it the cost of housing, home care, and medical attention. There is lots to see in the area and the climate is excellent – what more could a person ask for? Elaborating on the desirability of living here, to some extent for the benefit of Jim, who has come to Chiang Mai to live much more recently, and is still trying to get a sense of what he wants to do, Richard speaks about the costs of housing, securing your residence, and how to assure your personal safety, even though in fact the degree of safety here is incredibly high. Crime is marginal – and given that he lives in an upscale enclave whose land is owned by a senior police official, given that he pays police officers to patrol his residence and that the walls of his place are covered in repelling spikes and his house has a state-of-the-art security system, it is unlikely he would ever experience any issue with potential theft or worse. It seems that the degree of security he has is more a matter of sheer indulgence rather than necessity, but that is his affair. One subject we skirt is the standard of living of the locals enjoy that presumably allows us to live so well and profit from the low prices. He mentions that when the base wage increased some 10% to around 300 baht a day, a lot of prices went up and business owners complained bitterly. I have no idea how the average Thai can survive with so little money, given that restaurants charge 150 baht for a basic plate of food and the average daily wage is twice that. 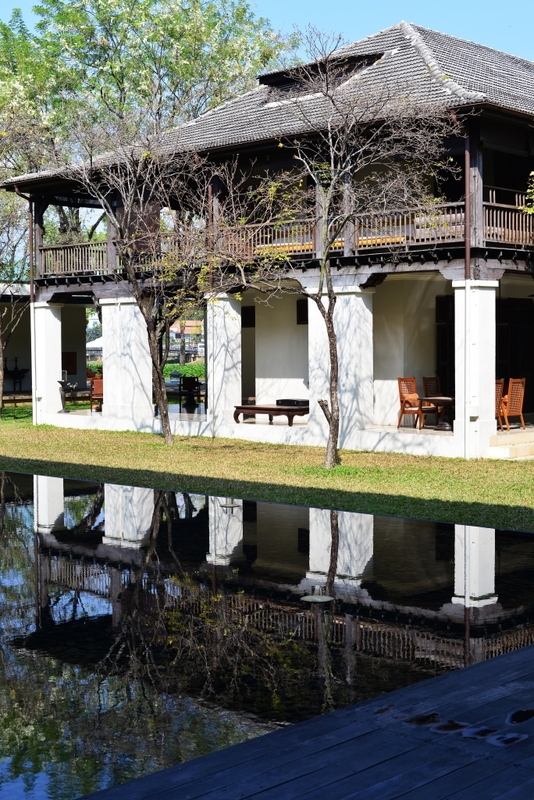 The medical care in the country is excellent, particularly if you rely on the best medical institutions in the country, specifically in Chiang Mai and Bangkok. He details the experience of having a knee that has pained him for decades being replaced here for $4,500, which was nothing considering what you would go through in the U.S. You are lucky to even see a doctor in the U.S., and then you get really inferior-quality doctors when you aren’t seeing just nurses. In Thailand, $3 will pay for a visit to an excellent quality doctor at one of the top hospitals, although the average backpacker would not think about spending that kind of money, he concedes wryly. He continues that people his age aren’t interested in taking risks anymore – they need to be safe – hence the requirement for appropriate and affordable medical care in any locale being considered for retirement. ‘Young people like you’ – referring to me – ‘can still do lots of things in life and travel freely, but at our age, we have to be careful.’ Well it’s not as if I am 22 or even in the vicinity! Thailand provides far more sophisticated services than any of the neighboring countries in Southeast Asia, is cheap, has the aforementioned medical care, crime is low, you can visit innumerable other countries in the region, and so on. Jim looks at us both in utter amazement, and feels like he has traveled around the world while just sitting in his chair. It seems he and Richard in fact just met today, in fact in this very cafe. Jim would really like to get some travel recommendations from me, given that I have seen so much in the region, not that Richard doesn’t have a lot to contribute on his own. I give Jim detailed recommendations for Cambodia and Malaysia, but the fact that he wants to begin traveling in two months is really a problem, as it will get incredibly hot. Richard warns him off the idea altogether, telling him he has no idea how hot it will get by April – and while it may be a better time to travel in Malaysia and Indonesia if you are close to the sea, the humidity will be unbearable. He shouldn’t even think of traveling in India, as it is as close to hell on earth as imaginable – you have to be really tough to travel there in the northern spring. Northern India is a possibility, and the Nilgiri Hills biosphere is definitely a possibility also, nodding emphatically as I describe the area to Jim. 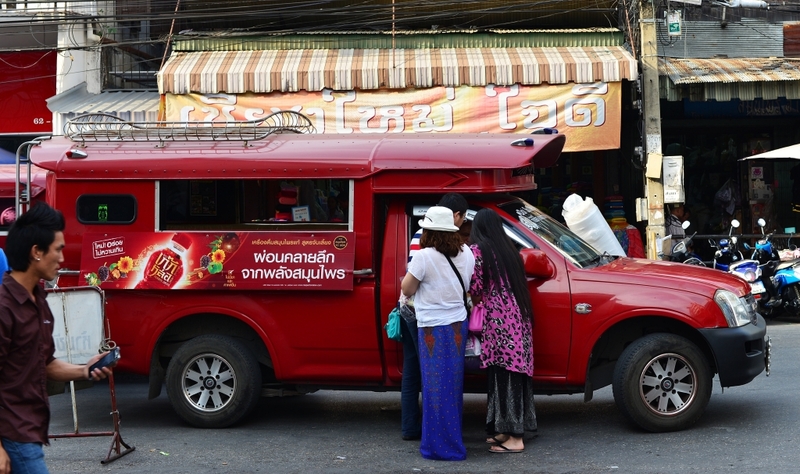 Onto more immediate challenges, Richard confirms that Thais are in fact big drinkers – by the late afternoon you just do not want to be on the road or in a vehicle with a Thai driving! The sun is now low in the sky when I finally leave, the long talk immensely enjoyable but I have truly wasted another day, quite sadly. The motorcycle dealership confirms that I shouldn’t bother renting a bike now and going to Doi Suthep park as it is just too far to be worthwhile. I will have to book a motorcycle for first thing tomorrow morning so I can really get as much done as possible on my last day here, with no possibility of dawdling! Wandering back through the town somewhat dejectedly, I see the same sights that were barely interesting the first time around, visit some more boutique hotels, peeri into cafes, navigate towards the cultural centre past the endless stream of motorbikes, cars, and tourists. The cultural centre is the only area of the inner city that has a large open space, not that the air anywhere in the centre is good. 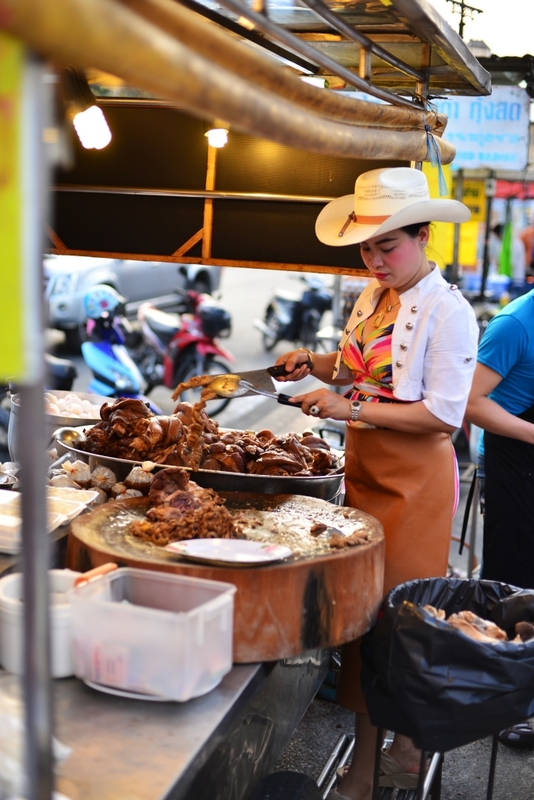 A small western-style organic market is taking place on the grounds of the cultural centre, although it just induces a bit of panic, thinking of the experience of last Sunday’s gargantuan market running down the central town axis. 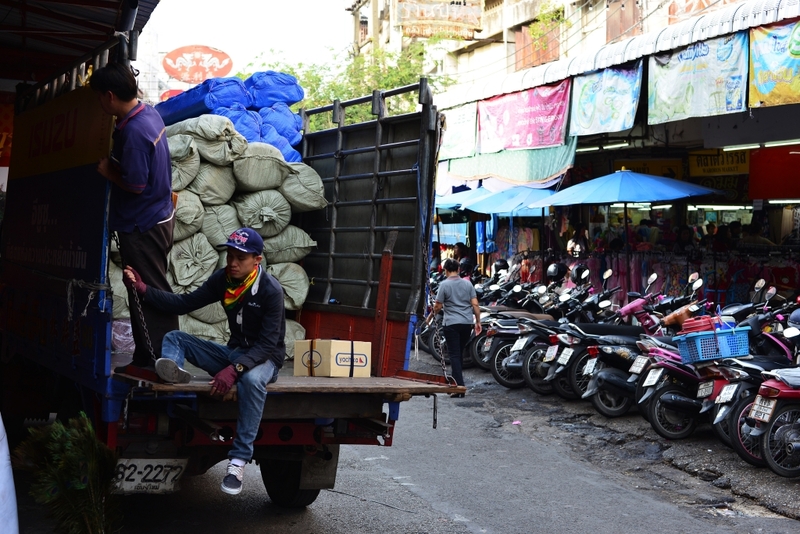 Weaving around the centre of town, I see more of the same, head eastward again into the morass of backpacker and lower range boutique hotels, then another step further down the demographic ladder east of Thae Phae gate, into the sleaze along Thanon Loi Kroh. 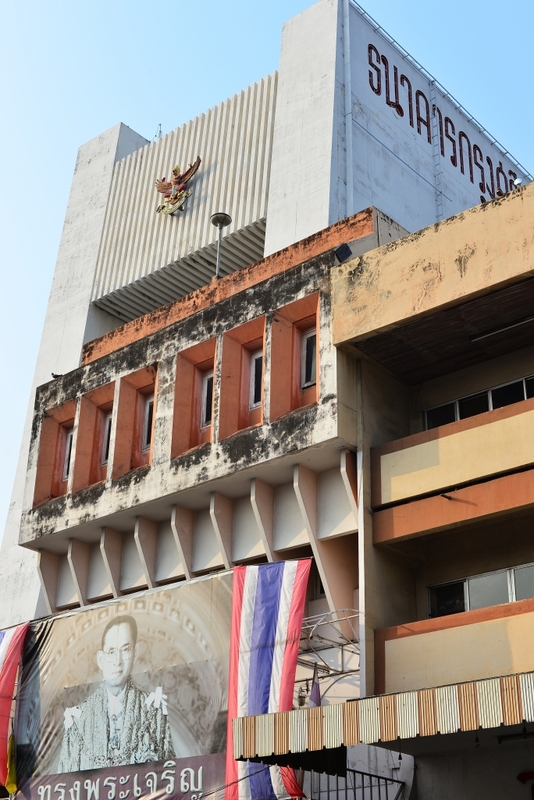 I continue north along Thanon Charoen Prathet with its crassly commercial tourist markets, yet somewhere else you would want to avoid, despite the fact that south of Loi Kroh there are numerous somewhat tasteful boutique hotels sandwiched amidst the winding and very private sois. 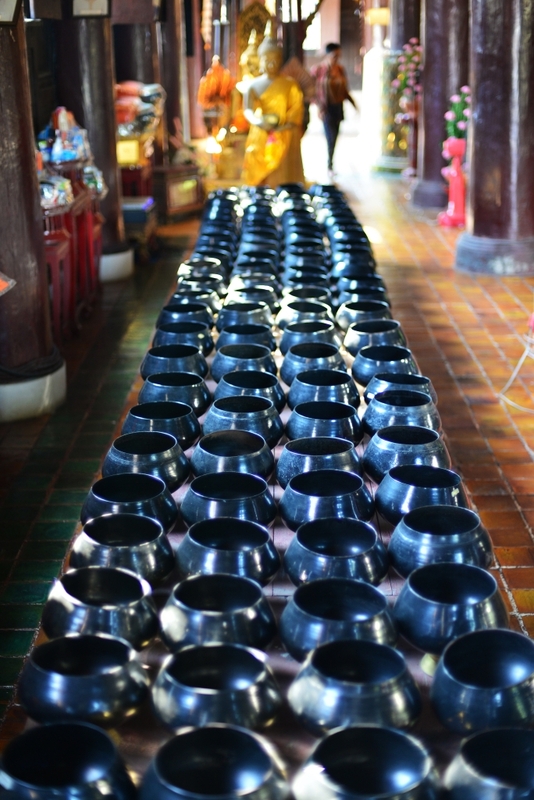 A side street contains a mosque, the undulating call to prayer strange to hear in this Buddhist country, the few food vendors in the soi serving up concoctions as mediocre as everywhere else. Returning to the bridge and crossing over to catch one of the last blue songthaew, I feel as if I have wasted the entire day. 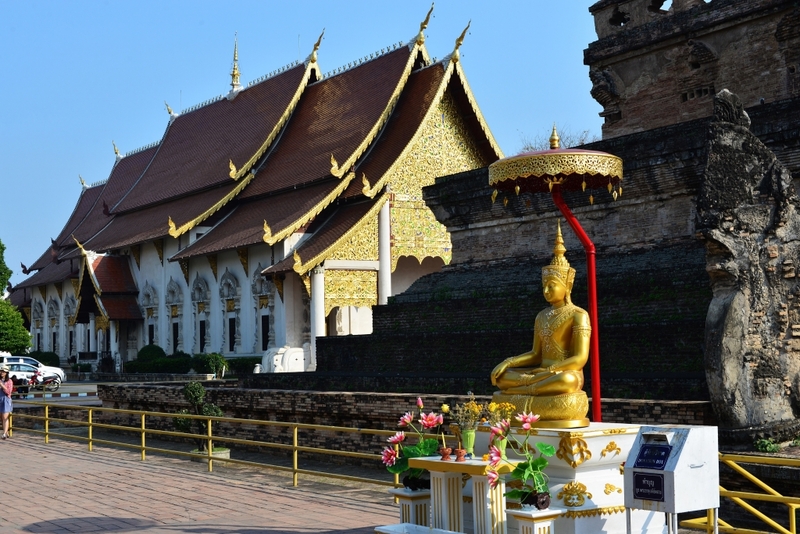 Spending a full eight days in Chiang Mai seems like such a loss, considering that I would have loved to have visited Phrae and Phayao instead of spending my time languishing in the doldrums of this vacuous tourist trap. Again the debacle of what to eat and where: on one hand, the restaurants in town largely offer the same standard Thai fare for prices inflated four times above the market stalls, and yet the stalls that line the south and north canal sides as well as at the Wororat market are really just grimy and uninspiring one-trick wonders. Justifying eating basic American or Italian food for relatively inflated prices may also be a stretch, simply considering that every burger and pizza joint has the same greasy bland smell that in no way should bespeak the food that is apparently being prepared. I could only hazard a guess as to how terrible their food may be. I could go to the pizzeria just north of Duke’s and have one (first and) last culinary bash in town, but then at 6:30 pm I need to get onto the next songthaew, otherwise I will be walking. On the other hand, I would arrive at the hotel with an empty stomach and no decent eating options. The eatery next to the 7-11 in the encampment of eateries just south of the Holiday Inn tower welcomes me to another round of the same tasty and healthy salad rolls, the baby boy slung over the shoulder of his mother eyeing me curiously the entire time I eat. 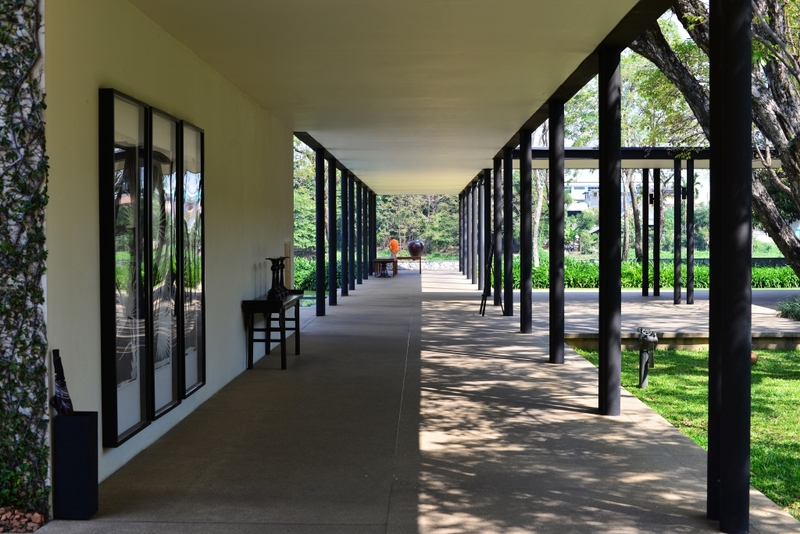 Walking back the final stretch to the Adventure hotel, I consider that I have come to terms with having an escape from the centre of Chiang Mai which I really have an intense dislike of. Later on in the evening, fireworks go off, possibly to celebrate the flower celebration …. Because I actually had the foresight to book a moped for this morning’s pickup, I manage to leave the hotel by the mid-morning with the two-wheeler, the representative of the company having brought the bike to the hotel, explained the contract and the vehicle’s functioning to me beforehand. Really quite simple, even for me – just drive on the left side of the road, and don’t get into an accident. At first I am fairly cautious, largely because no one really drives in fixed lanes here, vehicles tending to float on the road, motorcycles in particular simply weaving wherever they want to. So if you are on a motorcycle, you have to aggressively do the same, otherwise you will obstruct traffic. The 1141 heading to the airport is hardly the world’s most romantic road, but it serves the purpose of allowing me to skirt the city centre without having to deal with the hordes presumably coming down to take in the flower festival. 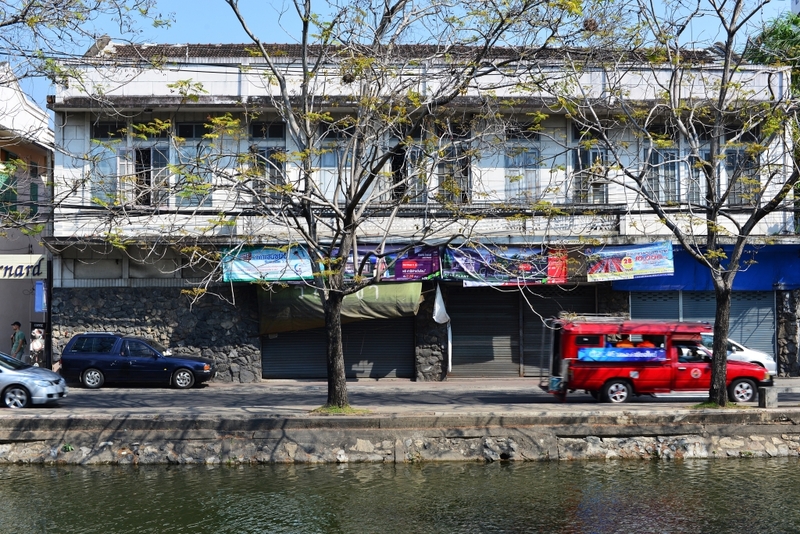 The Central Plaza shopping mall looms ominously on my left as the 1141 veers north to run along the canal that defines the western boundary of town. Coincidentally, the very last floats and marching bands of the flower parade appear on the horizon, giving me an opportunity to park my bike and take some quick photos while staying on the periphery, probably as deep into the fray as I want to get, locals lining the streets on this side of town with the obligatory smattering of elderly Caucasians with their child brides in tow, the vast majority of visitors presumably viewing the parade along the eastern end of town. Parade floats feature luxuriant cascades of flowers sculpted in the form of mythical creatures or simply surreal forms. The brightly garlanded floats passing by make for a colourful carnival-like family event, complimented by marching bands and participants from community organizations, the sides of the streets crowded with adoring spectators. Band members are incongruously decked out in cowboy hats and jeans, playing an extensive brass instrument selection, primarily tubas and French horns. The brilliant colours and viscous flow of the congregation achieves an almost fairytale-like quality set against the torpid canal and the regal shade-bearing trees. 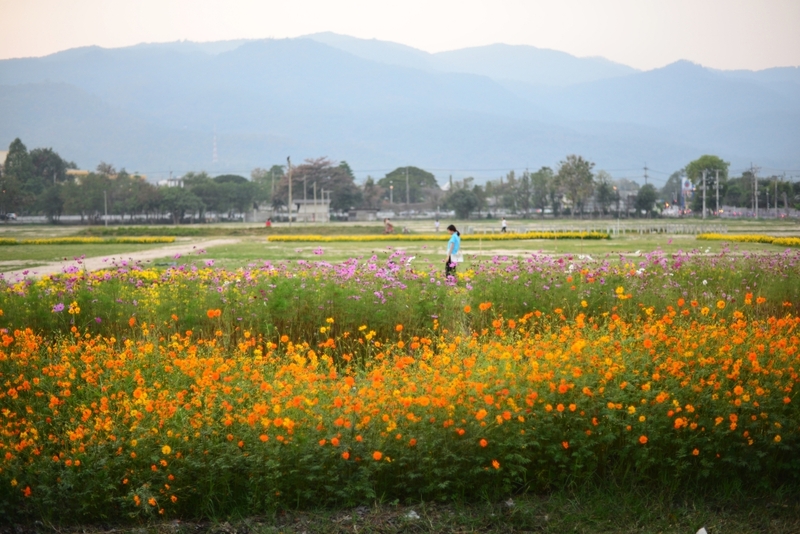 I ride in the direction of the day’s destination, the Doi Suthep national park. 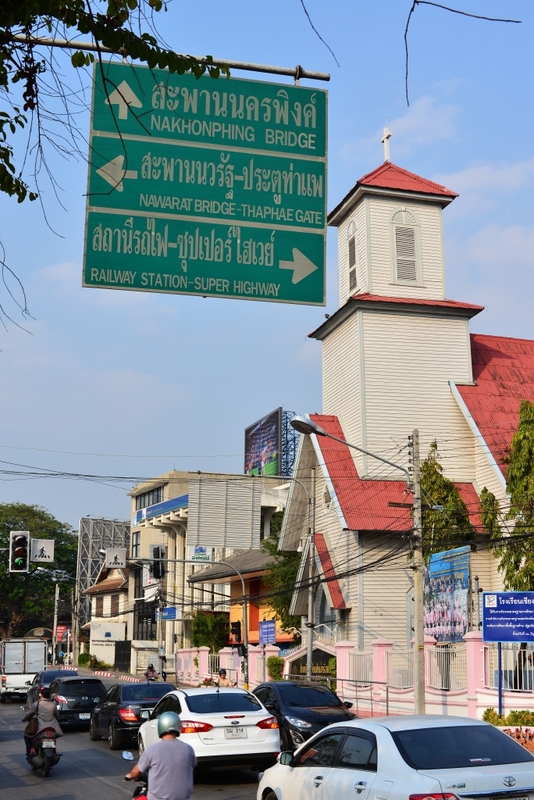 All I need to do to not get lost is stay in the quagmire of traffic running along Thanon Huay Kaew. 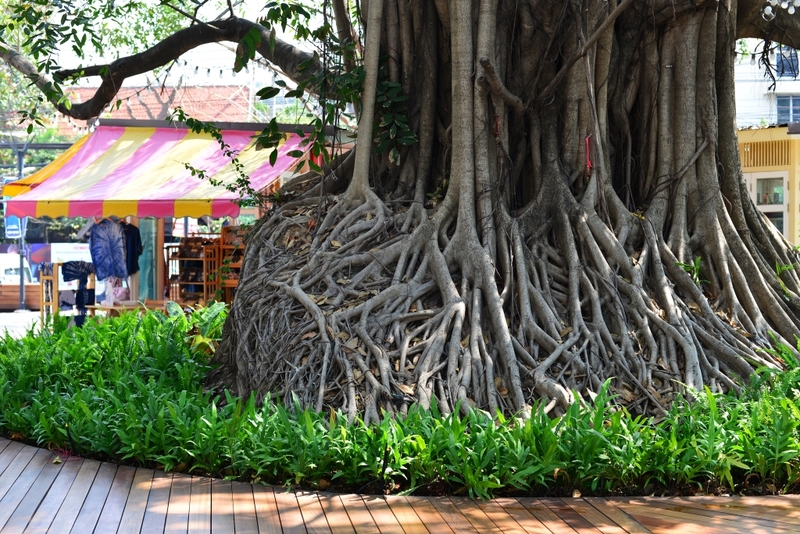 Since I will be passing Thanon Nimmanhaemin, it occurs to me that I could spend a few moments browsing the cafes and restaurants one last time, not that it would normally be beyond reach without a vehicle. The avant-garde design of the plaza pitches wildly contrasting shapes and colour schemes against each other in an arresting manner. 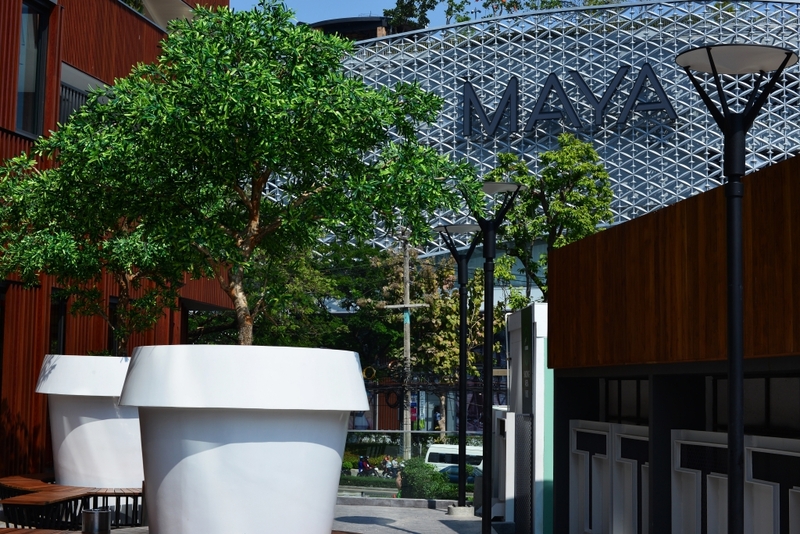 And yet short of the whimsical trendy microboutiques on the sloping slate plaza in front of the stylish Eastin hotel, many of the storefronts in the area are only slightly fashionable – and hardly exceptionally so. 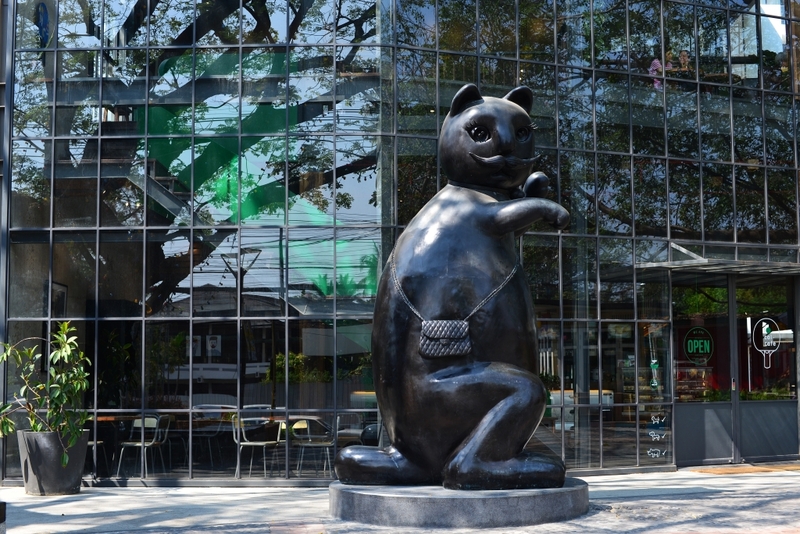 As much as Thais have a penchant for coffee shops – to the point of the ridiculous – the Nimmanhaemin is absolutely saturated. Most of the establishments I peer into really look quite conventional, that considering that often very unassuming locales can actually be very funky in Thailand. Somehow this seems like an utterly unimportant preoccupation, but not much more so than so many other things you spend your time with as a tourist. 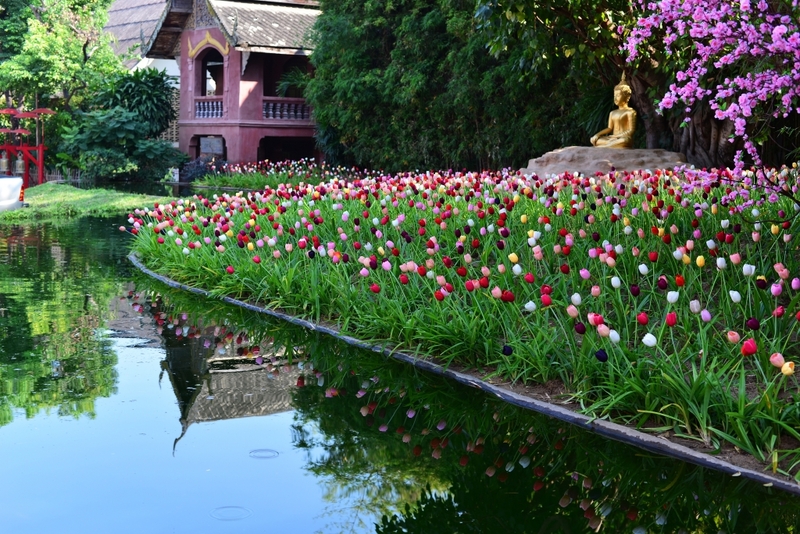 High in the hills overlooking Chiang Mai, the Bhu Bing palace was built in 1961 to accommodate the royal family during state visits to Chiang Mai. It goes without saying that such distinguished folk would not want to spend its time tainted by the rabble gravitating closer to the city core. It is only possible to stroll through the gardens, rather than visit the palace interior. 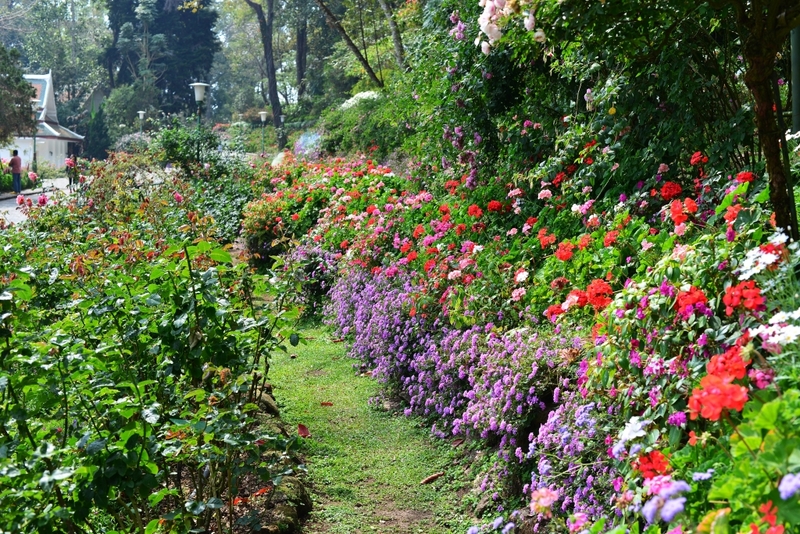 Broad landscaped gardens flow over an escarpment bordered by tropical woodland, a rich and diverse floral tapestry hugging the borders of the narrow paved trails that weave through the grounds. The higher elevation offers slightly a cooler climate and hence supports slightly atypical flora for the region. 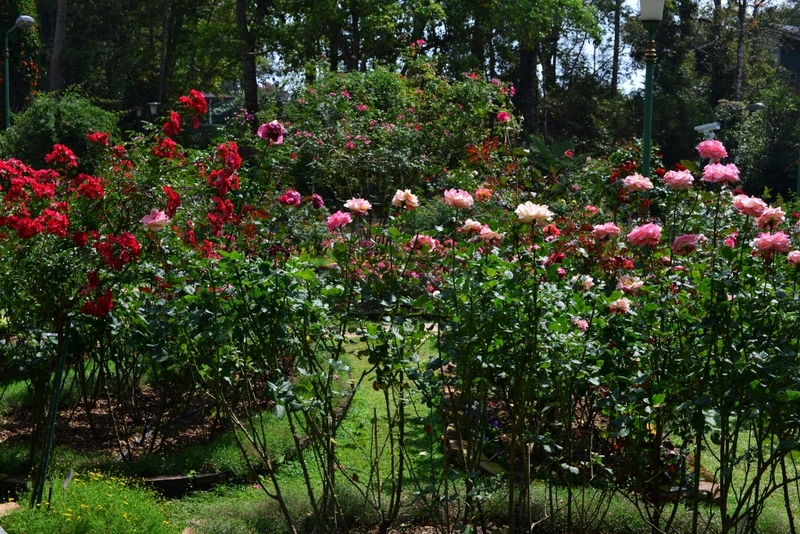 The rose gardens are particularly famous, many of the remaining plant varieties characteristic of more temperate climates. 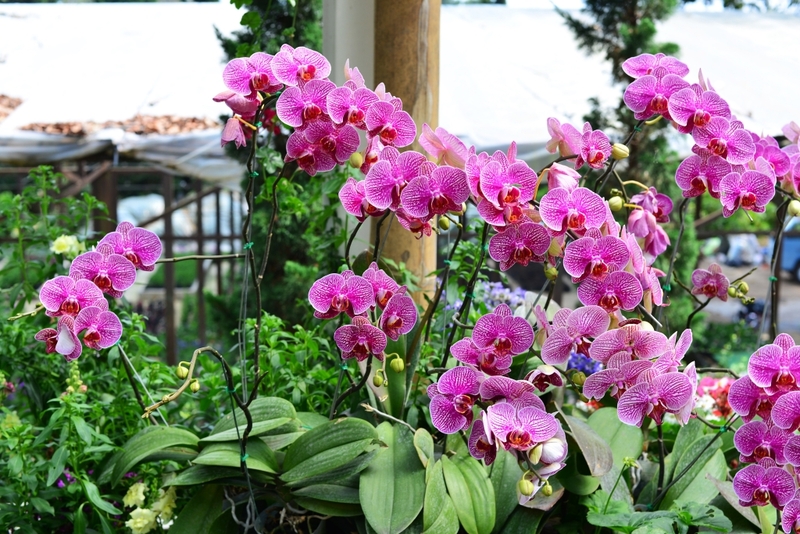 And yet there is also a proliferation of colourful, fragile orchids spread over the grounds. 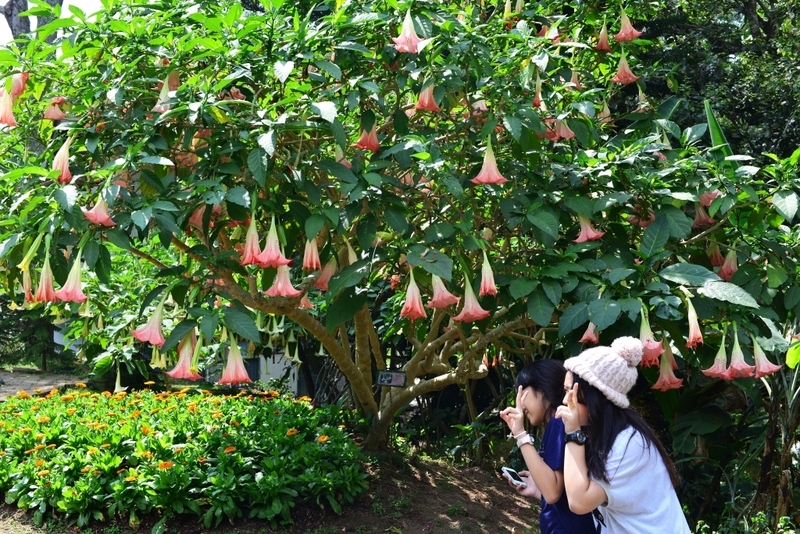 The trees with multi-hued datura-like trumpet flowers, brilliant lilies, and beds of daisies arrayed in a wild splash of colours and patterns provide a seemingly limitless opportunity for selfies. 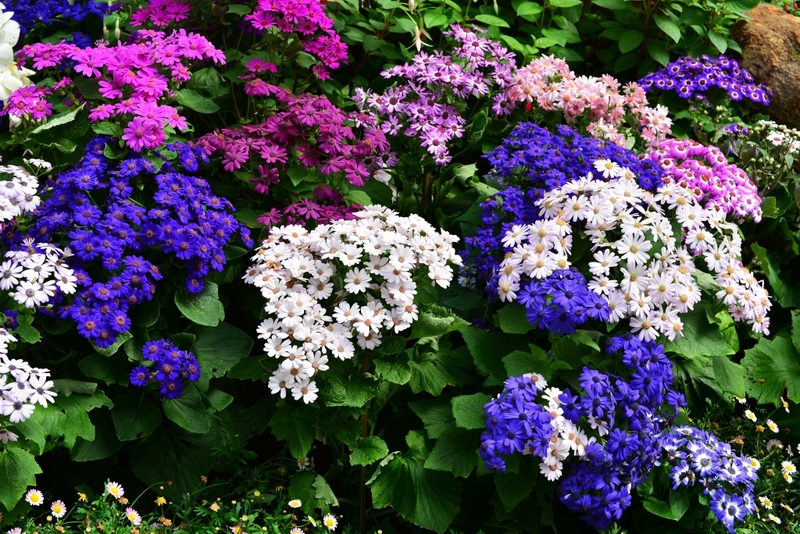 Some flowers are showy, some innocuous among the banked flowering hedges, but every shade of colour is nonetheless represented. Seemingly wild clumps of wildflowers meander brilliantly on the flank of the woods, contrasting with strictly controlled sculpted bushes. Troops of tourists plod along the marked paths, although you’d presumably have to like flowers to be visiting this place. The trails progress into a greenhouse laden with even more flowers, although it’s unclear as to why a greenhouse setting is even necessary in this climate. 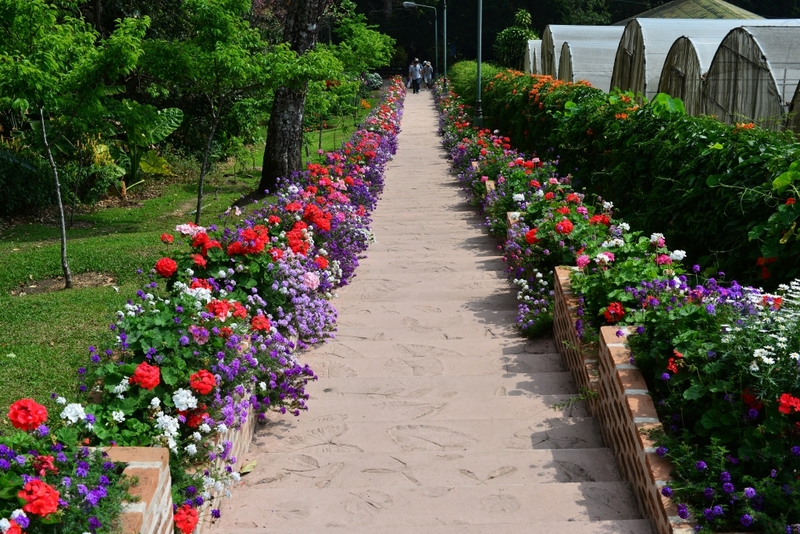 Beyond the small greenhouse complex, the trail morphs into a lengthy shallow staircase that climbs to a lake, bordered by a continuous bed of multi-coloured geraniums and other household flowers. The lake features several fountains, with banked rows of flowers emanating from the lake, rising up to a set of incongruous wood cabins. Following the pleasant walk around the gardens of the royal’s occasional residence, it is time to slip off the 15 baht rental pants, throw them into a basket and descend into the miniature market of tourist claptrap, taking in an utterly generic dish of stewed pork and vegetables for more than I would be paying in other Southeast Asian countries on the rear verandah, enjoying a partial view over some greenhouses set in the neighboring forest. 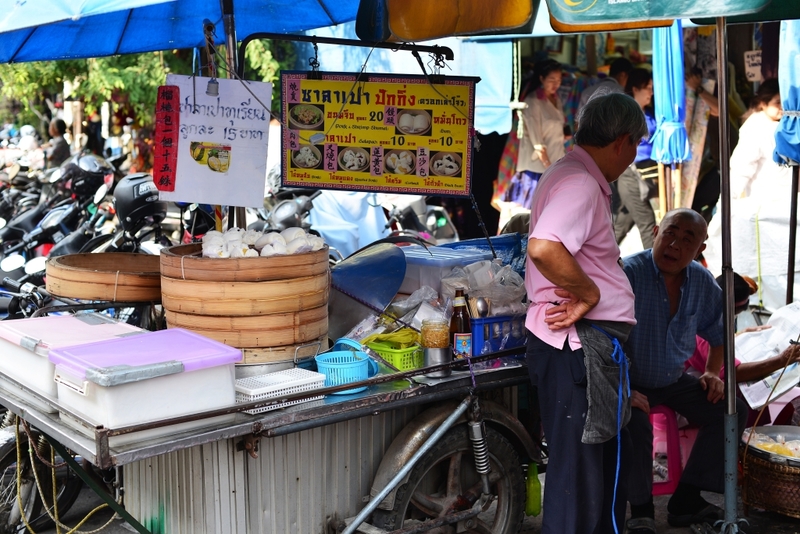 At another stall, 20 baht for a baggie of fried bananas with some coconut syrup seems excessive, but I get tired of caring – such are prices in tourist traps. Looking up from my fodder, I observe one of two young gangly Chinese loading film into a camera, and when I look more closely, I realize it is an old Rolleiflex, dating back some 60 years. I am somewhat astonished that these young men from Shenzhen should be hauling around such historic hardware. 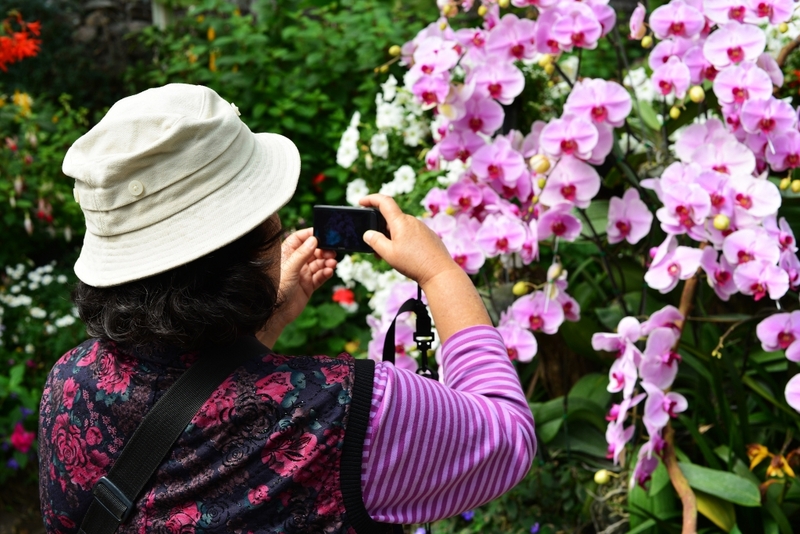 They claim that such cameras are very popular in China, just that half the people using them do so because they are trendy, and the other half because they are actually serious about photography. He should know, since he owns a shop that caters specifically to fans of old analog cameras. I think it’s fantastic to see young people taking photography so seriously. I still feel such a strong passion for analog photography, and these cameras are the stuff of legend – well, maybe I’m exaggerating, but beyond the storied nature of the instruments, the print photos they take resonate in a way that the digital photos could never. 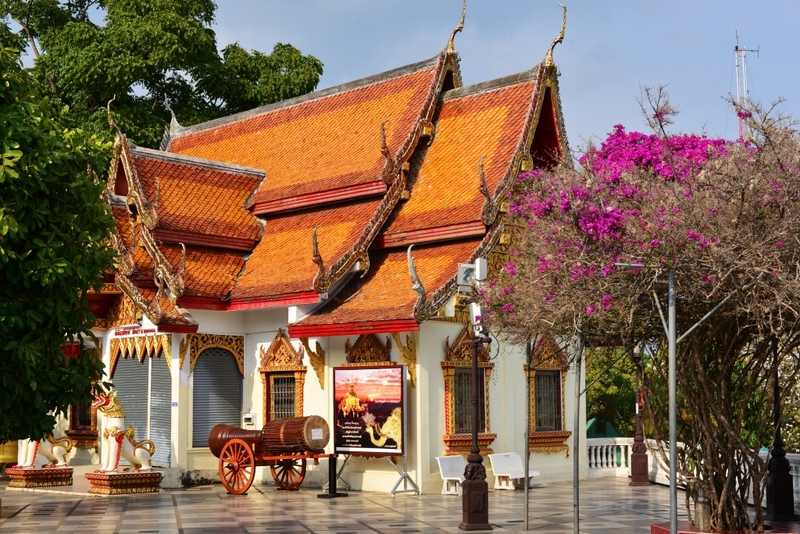 The two actually don’t like Thailand at all, having traveled extensively through their home country and loved it, but this country can’t compare in the least, certainly not from their experiences in Bangkok and Chiang Mai. The road wends uphill, the city sliding behind me as I rise into the verdant forest, the tendrils of perfume emanating from the forest weaving into the toxic smoke billowing from the vehicles climbing the road ahead of me. Dedicated cyclists in Lycra racing gear hunch over their lightweight racing bikes, intent on climbing to some distant elevation in the Doi Suthep park, and I am in no shape to envy their exercise, especially considering the pace they are maintaining further uphill. Much less do I envy the unfiltered exhaust fumes they are inhaling the entire route. One young South African is taken aback that I even mention the ‘Pollution’ word – really? Am I that effete or is your sense of smell that destroyed? 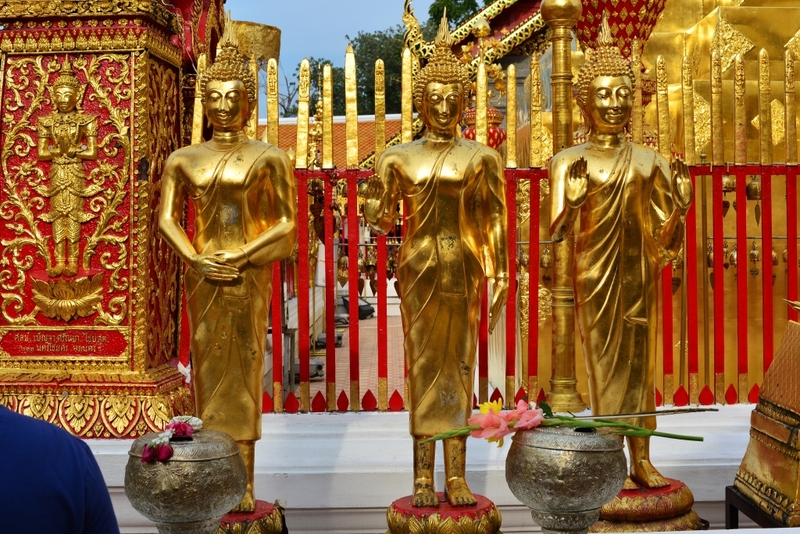 Happily, there are no settlements as the forest rises around the serpentine road, road signs pointing to the Wat Phra That Doi Suthep higher up the road. I had feared the moped would not be able to hold up on the steep hilly roads, but it actually does admirably well, slowing down to a crawl on the steepest segments. I feel liberated being able to finally go somewhere that isn’t clogged with pollution and people, allowing me the latitude to travel and experience the worthwhile. 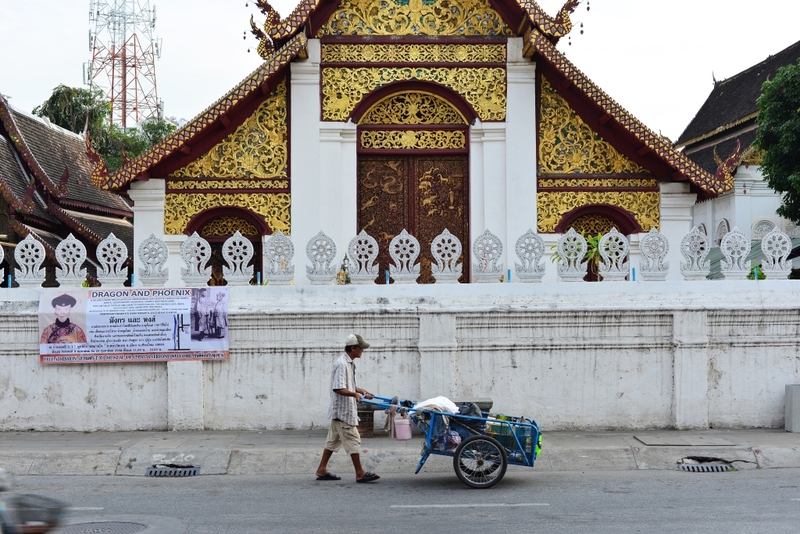 It’s very obvious that a stay in Chiang Mai really requires some independent transportation, and it’s not as if the motorcycle rentals are so incredibly expensive. 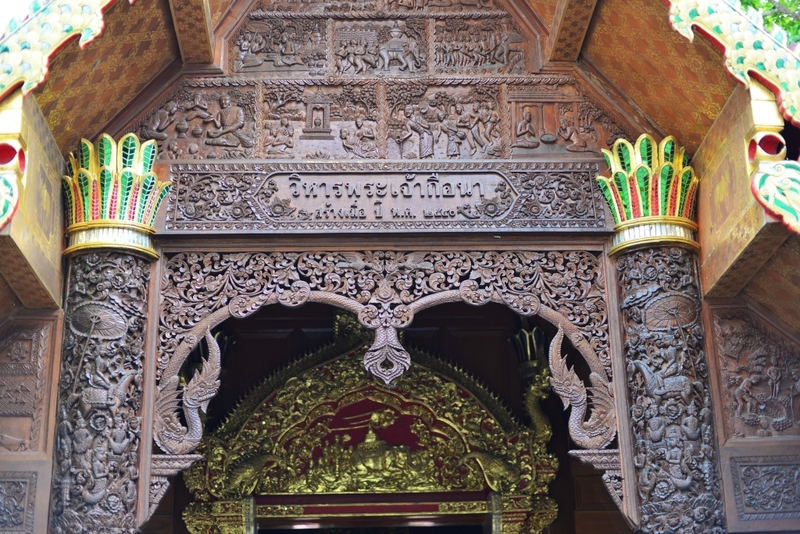 The Doi Suthep temple complex represents a truly a mass tourist destination, something already evident from the hordes of visitors trooping up the staircase leading to the temple. 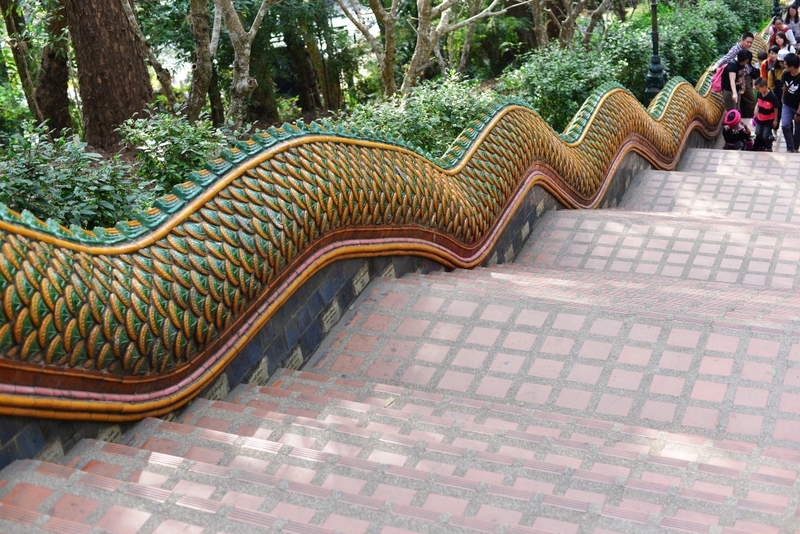 The long staircase climbing towards the sky is flanked by enormous undulating green-hued serpents. 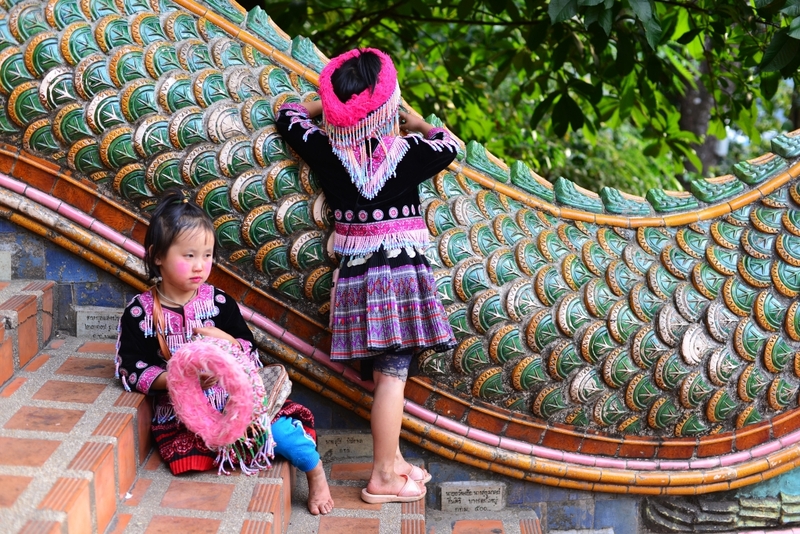 A handful of very young locals dressed up in tribal clothing pose for photos or sell claptrap to the tourists, seemingly rendered into a passive resignation, succumbing to the constant flow of the masses surging upward towards the temple. 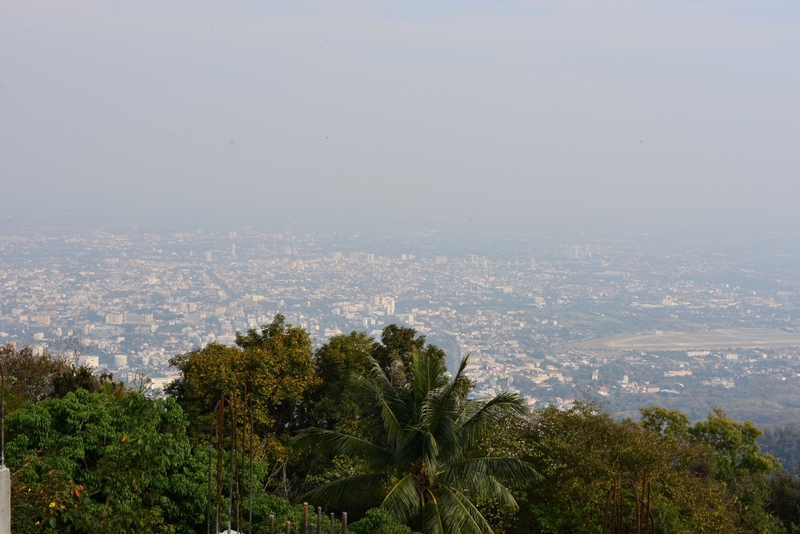 The juxtaposition of the children in tribal garb and tourists seems somewhat surreal, while the views of the city from this elevated location reveal how utterly polluted Chiang Mai is. The very numbers in evidence here makes evident the staggering numbers of tourists Thailand deals with in general. 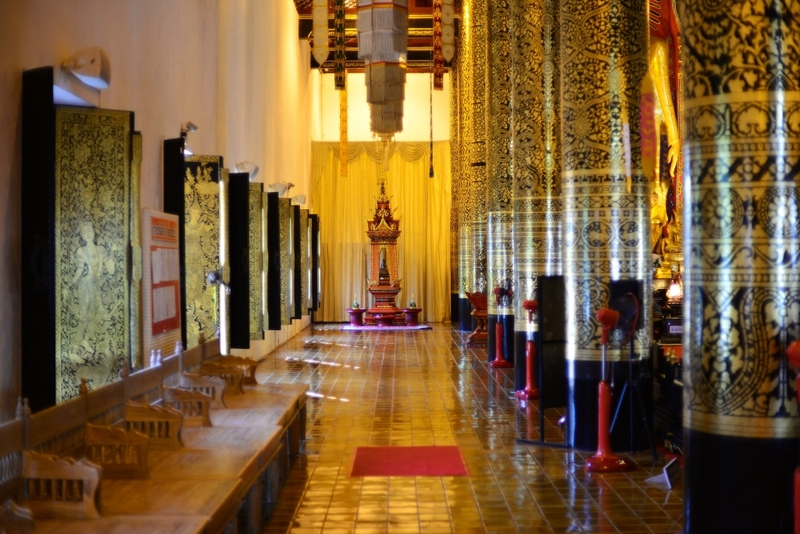 The top of the stairs pass through a soaring gate covered in the characteristic intricate golden patterns, the entrance berthing on rows of large, ornate brass bells, intended to wake monks and announce ceremonies, all of which would seem somewhat foreign in this circus-like environment. 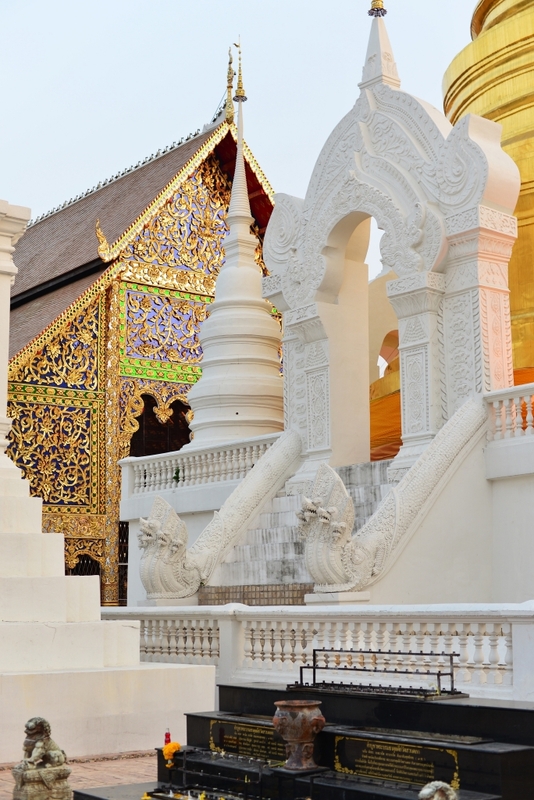 The grounds of the temple are tiled, the obligatory Buddhist temple structures impeccable in their presentation. The grounds are dotted with bougainvillea, providing somewhat of a natural element to the grounds, never mind precious shade. 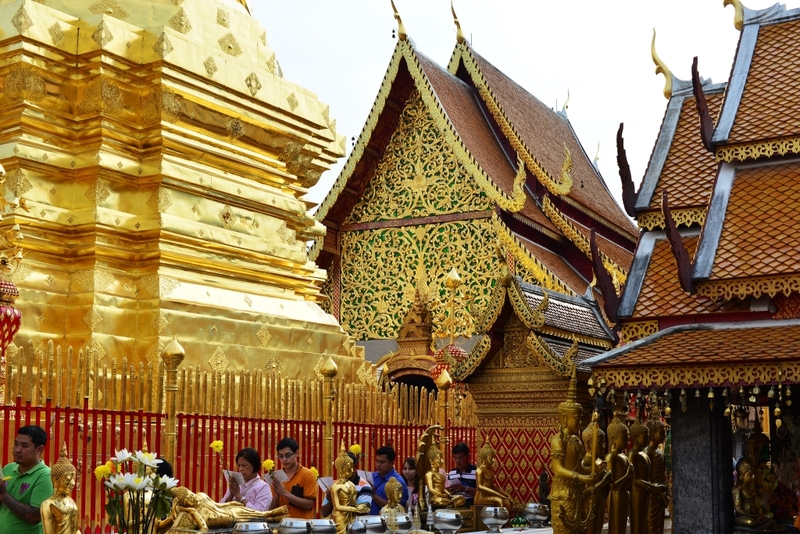 The wealth of the temple can hardly be understated, given the prevalence of gold, beginning with the tiered chedi at the centre of the complex, the adjoining temple structures embellished with rich gilt sculptural adornments, emerald and ruby tones complimenting the mandatory gold. 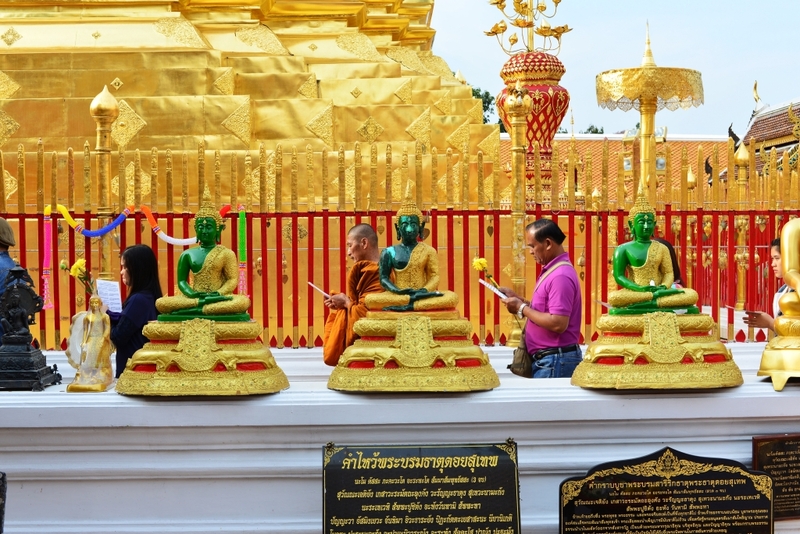 This temple is selfie heaven, probably one of the most egregious displays of constant selfies and the use of selfie sticks I have seen thus far in Thailand. And yet against this backdrop lurks a darker reality, that of the heavily-draped, small, slender dark figures performing the grueling construction work in the blistering heat, and the plight of the poor and maligned guest workers who perform heavy labour to lubricate the undesirable work that keeps the engine of the country running. Supplicants weave with their modest offerings in formation through the plaza, although the entire experience is rendered somewhat farcical by the number of people taking photos and selfies. 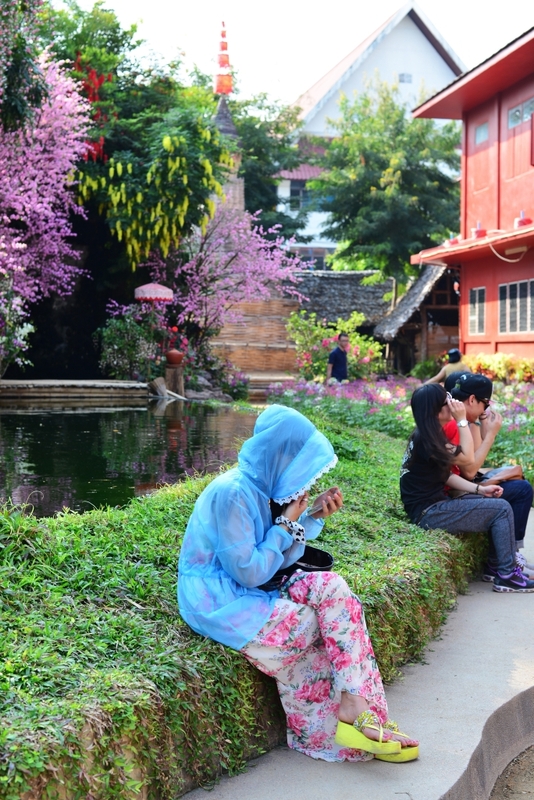 It makes me feel embarrassed for the Thai, to have to constantly sustain such a barrage of tourists intruding on their daily activities, particularly in the pursuit of their faith. And yet many locals are also guilty of rendering the temple site into a sort of carnival, what with the continuous posing for photos, and even worse, selfies. 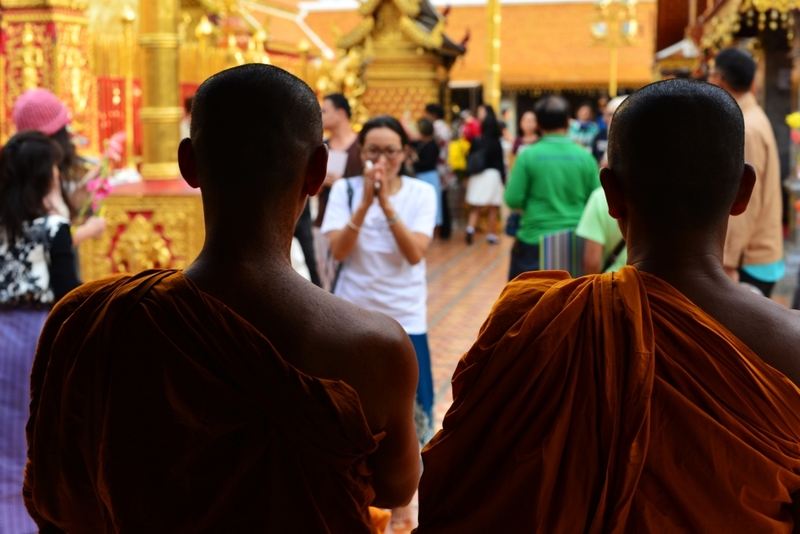 And not only secular Thai visitors but the saffron-draped monks themselves take liberal amounts of selfies. Worst of all, though, must be the backpackers taking videos with selfie sticks. The atmosphere is friendly but somewhat frenzied, what with the vast numbers of visitors. 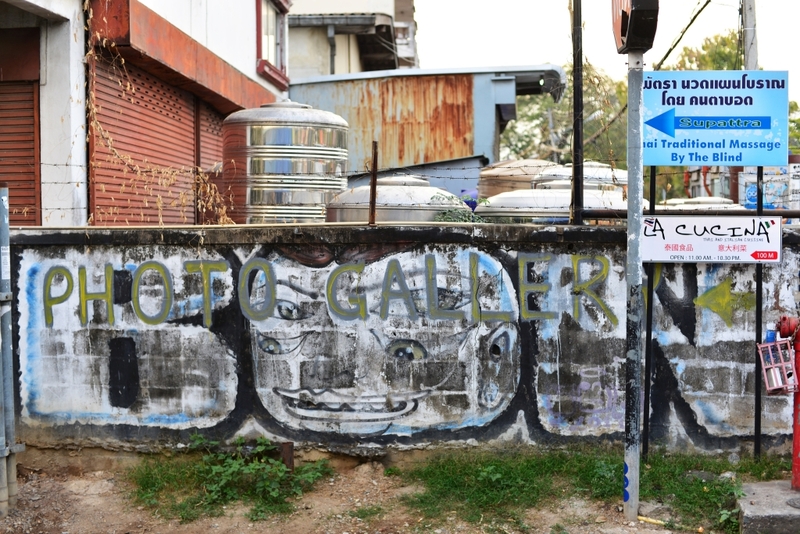 Despite the ornate lavishness of the physical structures, a carnival environment prevails. 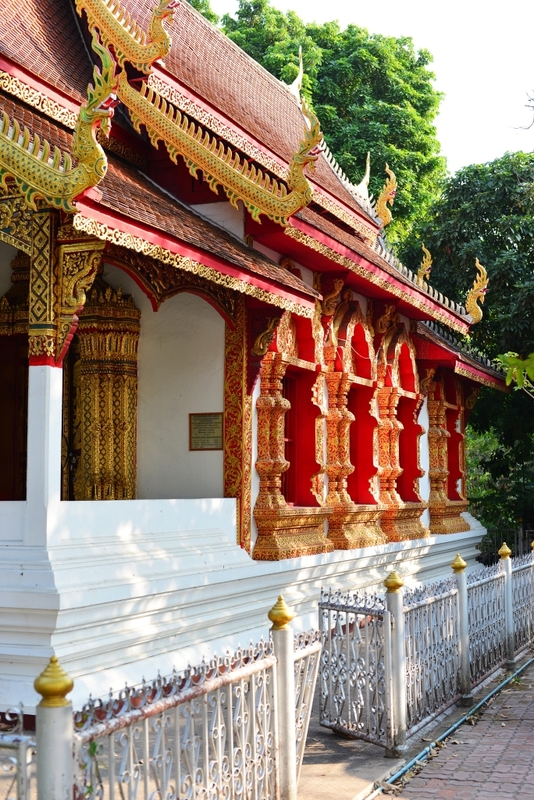 Weaving down the serpentine road back toward the morass of Chiang Mai, it occurs to me that the city has gained some sense of redemption on the last day of my visit, what with the trip to the palace grounds and the Doi Suthep temple. The day culminates with a quick visit to a shady noodle spot set across from the dusking gate of the university grounds, a few straggling students on this weekend evening meandering along the long walkway towards the initial campus buildings in the distance.